Despite being strangers, Carlos Sepulveda, center, lends an ear to talk with Jose Luis Morales, left, as Morales mourns the loss of his brother Edward Sotomayor, Jr. , 34, at a memorial Sunday, June 19, 2016 at Orlando Regional Medical Center in Orlando. A total of 49 crosses were made by Greg Zanis of Chicago. 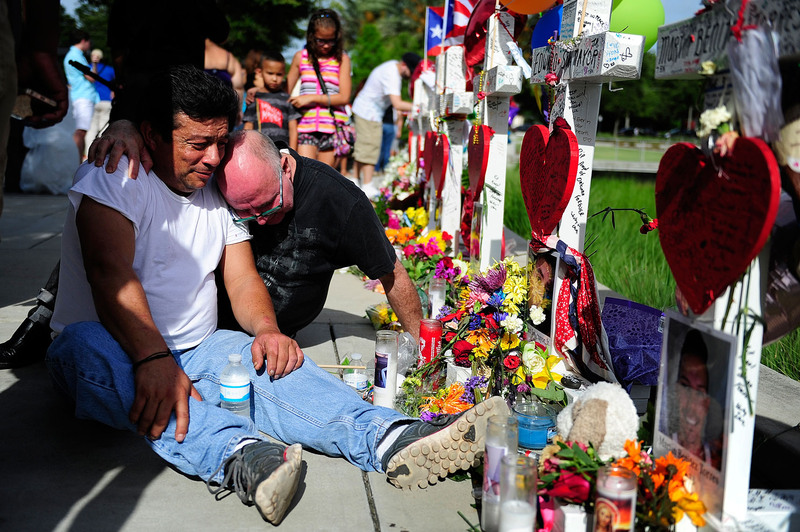 "I told him God is in control of everything and he'll give you peace," Sepulveda said.